Included here are all pictures of all mine warfare ships, both ancient and modern, except for minelaying submarines which are in that gallery. These pictures are published for pleasure/information/research purposes only and are not for sale or copy under any circumstances. Information in captions has been researched as thoroughly as possible but it accuracy cannot be guaranteed. 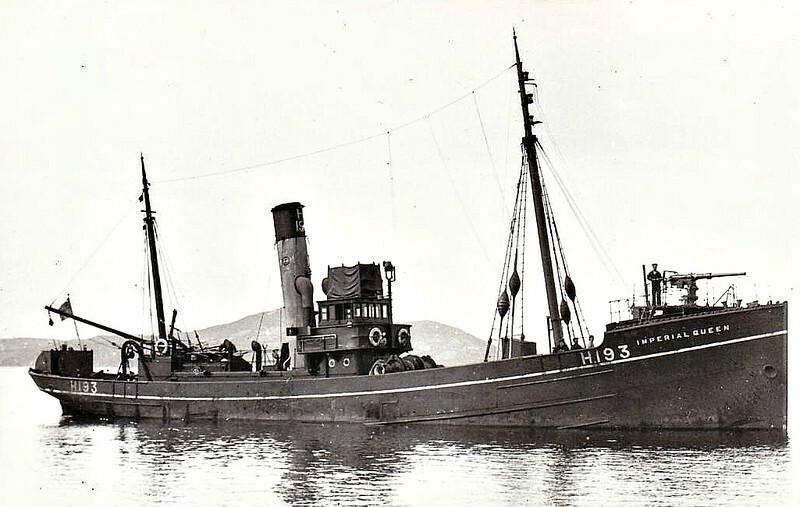 1915 to 1919 - IMPERIAL QUEEN - Hired Trawler - 246 tons - 1914 Dundee Shipbuilding Co., No.269 - 1x3in., 1x7.5in. bomb thrower - 1919 returned to owner - seen here in 1917.